Important! There was a bug in the framework version 7 (I put the wrong DLL file), if you are using this mod you must use at least v8 or higher of the framework. Is it compatible with uncapper's SkillExpGainMulti function? any thoughts on how well this will run with YASH? Is this mod compatible with Immersive Armors and Weapons mods? 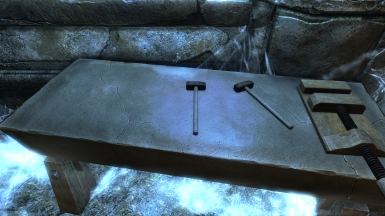 Alchemy question: kryptopyr's Complete Alchemy and Cooking Overhaul nixes the value of mixed-effect potions. Based on how it appears this works from your explanation, I assume this would override that change, so I would need to disable the alchemy override in this mod's config file. Am I interpreting things correctly? The other way I see to interpret things is that CACO's is also done via DLL (and a quick check of the .esp suggests this more strongly), which would cause a more unpredictable sort of incompatibility. My mod only changes the XP you gain, doesn't change value of any potions or ingredients. I am not sure how CACO works but if it's a DLL then yes it's possible that there is an incompatibility or unpredictable behavior, I could not say. This mod sounds cool. Do you think it will work well with Ordinator? Also should I install a mod like CACO after this mod or will this system help theirs in your opinion? It overwrites other mods as far as I know, doesn't matter when you install since this is not a normal plugin. I usually try to avoid posting short responses but I must say that what this mod aims to accomplish is... "simply amazing!" Since this requires .NET, does this mean that every time SSE updates, this will not require updates afterwards? The framework will require an update but this mod itself will not. So, in theory, if all of the SKSE dll mods used the framework, then when Skyrim updates, all that would need to be done was have the framework updated instead of all the mods updating with each update. Very cool. Yes, if they use the systems in the framework to make it version independent.